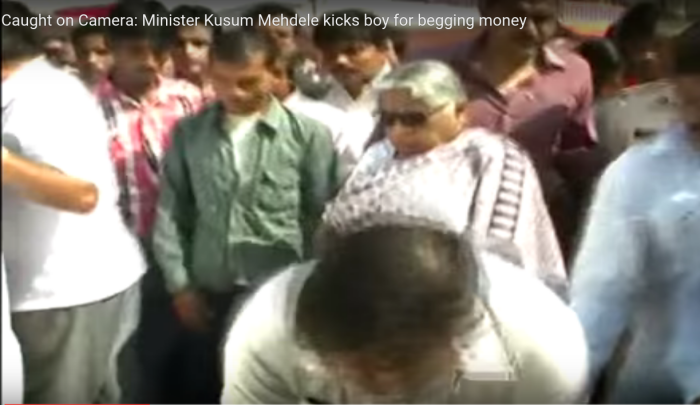 In a shocking incident, Madhya Pradesh Minister Kusum Mehdele was caught on camera kicking a young boy allegedly because he begged her for some money. The minister who holds the animal husbandry portfolio was in Panna on the occasion of Madhya Pradesh foundation day, kicked the boy on the head and proceeded to board her car. Mehdele, who as part of a cleanliness drive was sweeping the road near a bus stand got angry after the teenager pleaded her to spare some change. Following the incident, the security personnel of the minister caught hold of the kid and threw him away. District Collector, Superintendent of Police and Bhartiya Janta Party leaders were also present on the occasion but they remained mute spectators during the incident.  The minister had earlier sparked a controversy during crop assessment surveys when she had asked the farmers as to whether any doctor had advised them to sow soybean despite the drought. She had also stated that farmers don't commit suicide even after the death of their sons so how come they do so after crop loss.